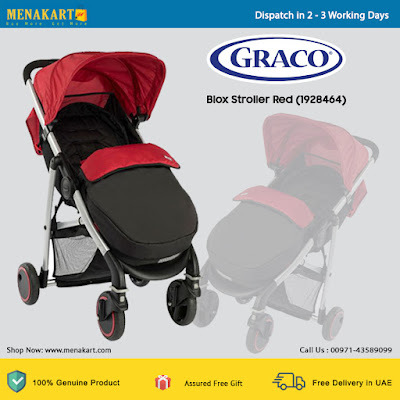 Getting around with your child is now easier than ever, thanks to the Graco 1928464 Blox Stroller. This stroller is the essence of metropolitan mobility: lightweight, compact, and nimble. Its is ideal for moms and dads who are looking for strollers that are easy to use and has plenty of features and benefits. This stroller is light enough for easy maneuverability. It features a large sun canopy that keeps your little one comfortable and offers shade on a bright, sunny day. It also has a spacious shopping basket for your convenience.